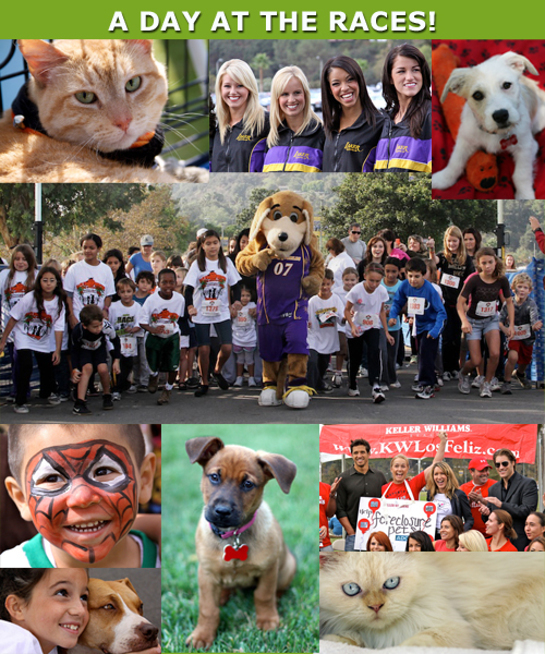 Mario Lopez will host this year’s 6th annual Race For The Rescues fun run to benefit 10 non-profit animal welfare organizations. The 5k, 10k and kid’s fun run will start at The Rose Bowl in Pasadena on Sunday, October 23, and will feature celebrity appearances by Denise Richards, Dot Marie Jones, Eden Sher, Kiernan Shipka and Camryn. Race For The Rescues benefits: After The Finish Line, A Dog's Life Rescue, Angel Dog Foundation, Best Friends Animal Society, Molly’s Mutts & Meows, The Ozzy Foundation, Pets For Vets, Stray Cat Alliance, Take Me Home Rescue & The Rescue Train. Each year, these ten non-profit animal rescues save, house, give medical treatment and find loving homes for approximately 2,500 once-forgotten animals. Race registration starts at 7am, with the first fun run starting at 8:30am. Find out more about the event here.